We love making our own kid-friendly bath products like homemade sugar scrubs, but did you know you can safely and easily make your own soaps at home? 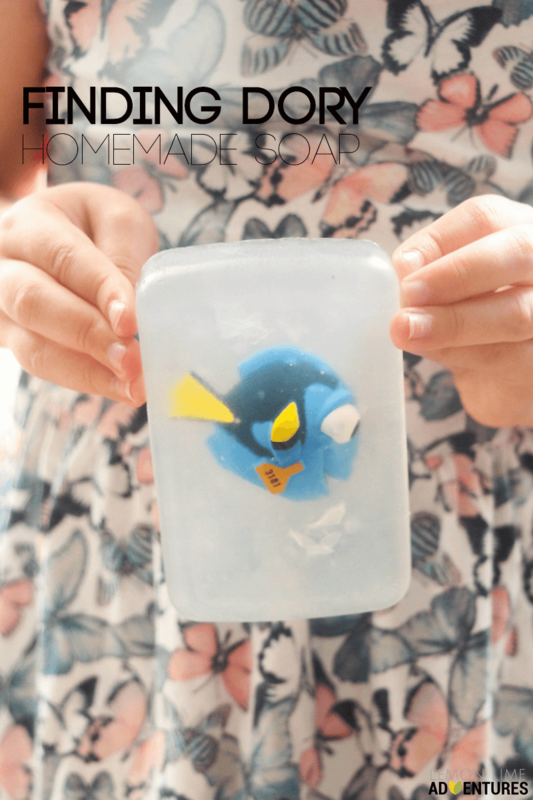 This Totally Awesome Homemade Finding Dory Soap is super-easy and makes a great homemade gift. 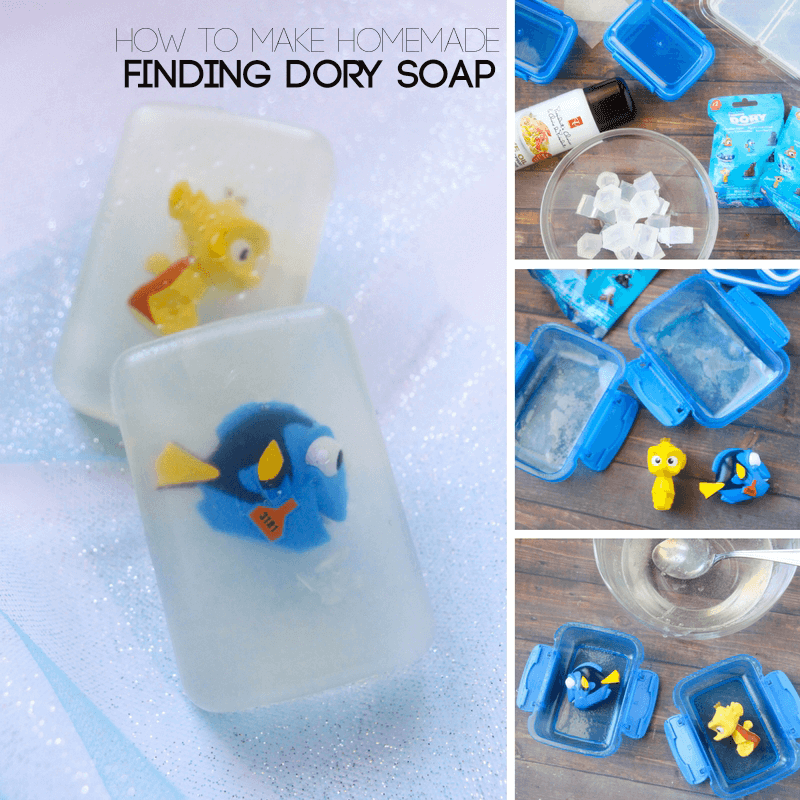 Put Finding Dory on Netflix and keep your make this fun soap with your kids! Making homemade soap was something I had previously written off as dangerous, with corrosive chemicals and a precarious cooking situation that most hobby soap makers suggest be done outside. 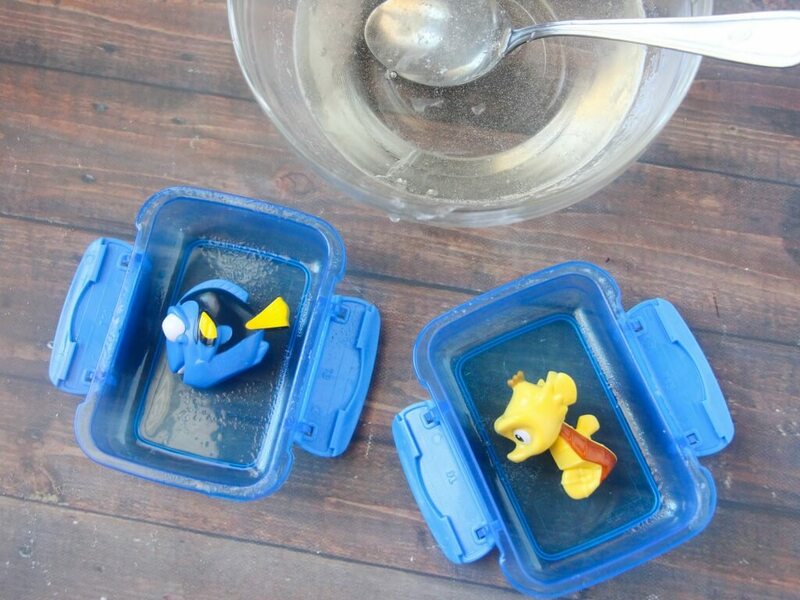 However, this awesome melt and pour soap is super-safe to use around the kids and can be melted in the microwave. 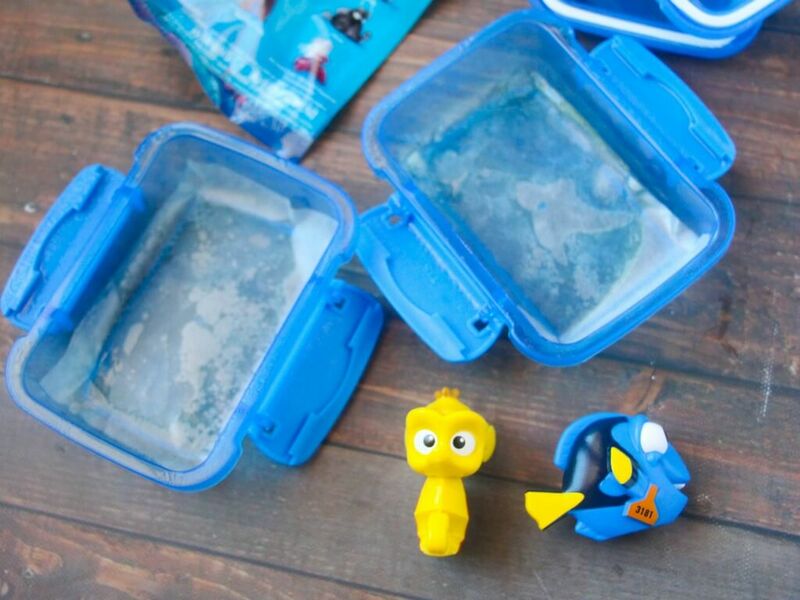 It sets quickly and doesn’t damage any toys or objects you put in the soap, making it a fun option for birthday parties or playdates. Making our own soap also provides us the opportunity to incorporate our essential oil blends, providing extra immune-boosting benefits to our bath time routine. I ended up not liking the effect of using the cooking oil to help release the soap and the parchment paper and plastic container would likely have been enough. 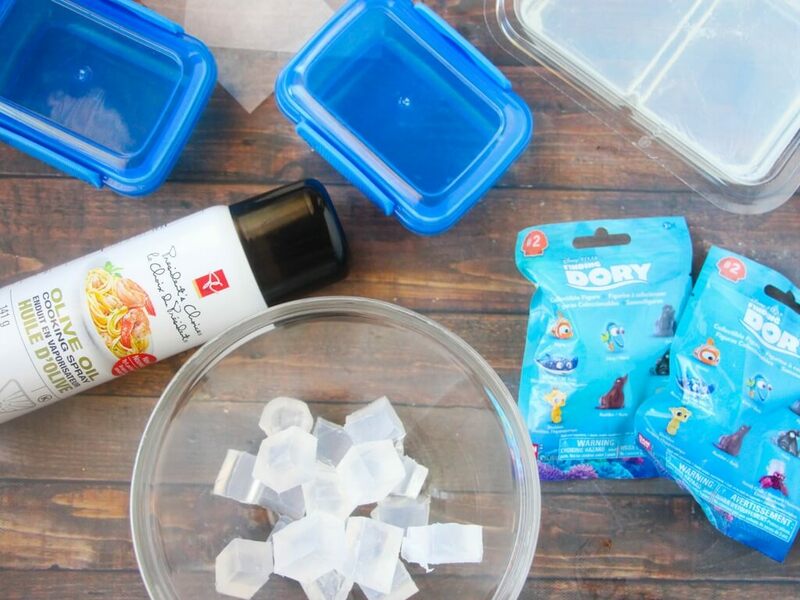 If you are not sure about the non-stick nature of your container or won’t be removing the soap from the container right away, then the cooking spray is a good idea. Cut up the melt and pour soap and place in a microwave-safe bowl. Heat in 25-second increments and stir well in between each heating. It shouldn’t take more than 2 minutes to melt the soap completely. Meanwhile, line your containers with parchment paper and place your characters in them, ensuring that they don’t go above the edge of the container or they will stick out of the soap! 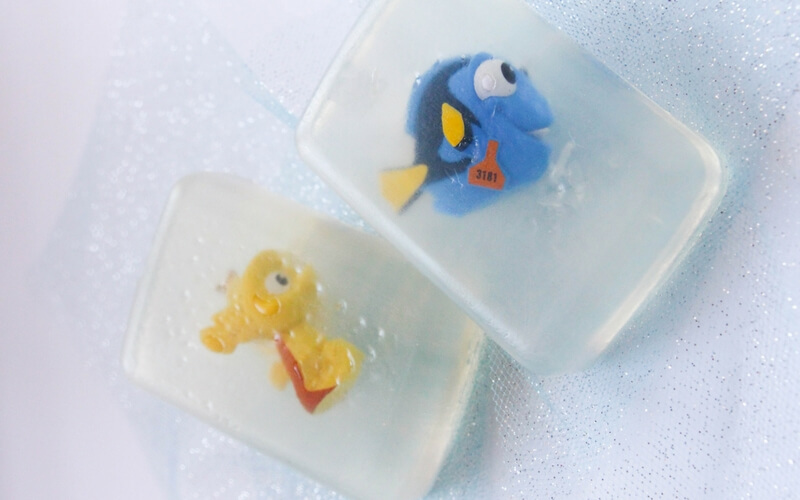 Stir your essential oils of choice into the melted soap and carefully pour overtop of the characters until they are fully covered. Spray the rubbing alcohol overtop of the soap if you see tiny air bubbles. Let the soap set for up to 2 hours before removing from the molds. 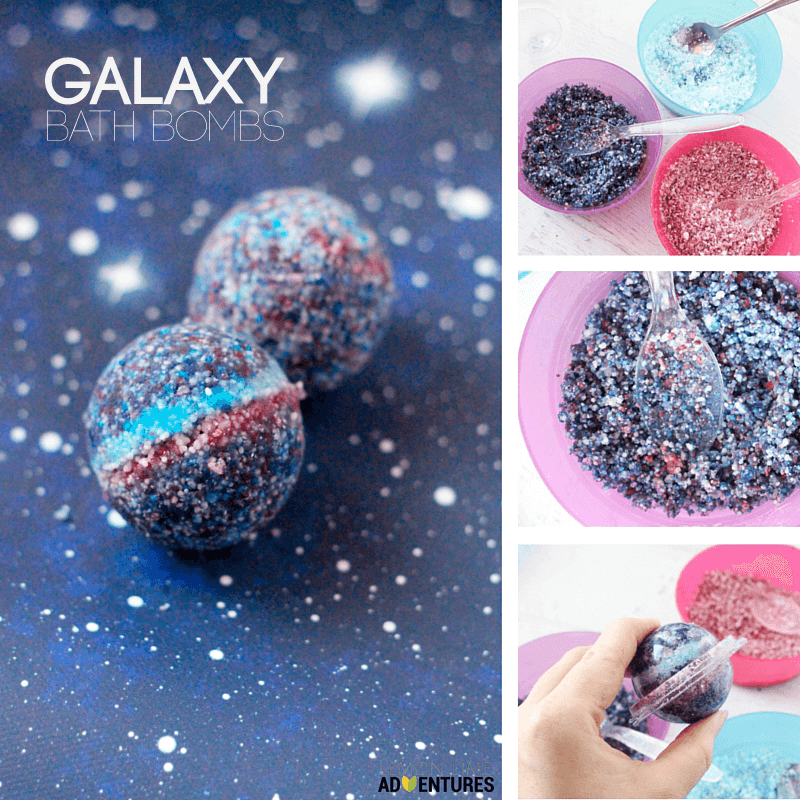 And there you have it – your very own homemade soaps with bonus bath toys! 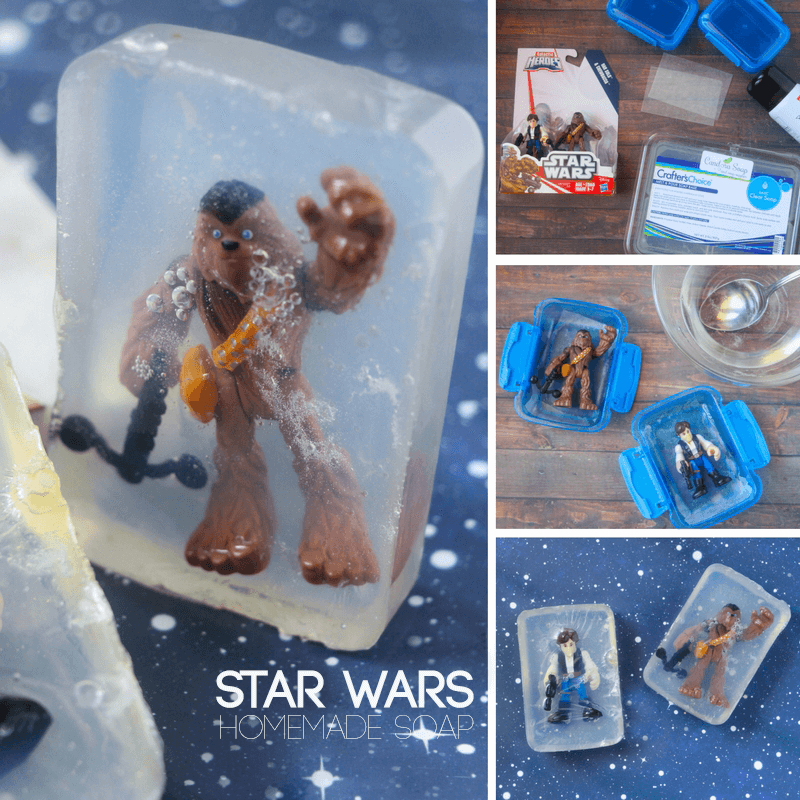 Would you ever try making your own character soaps?